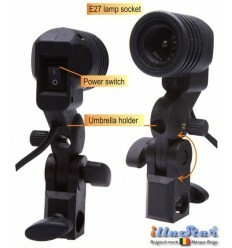 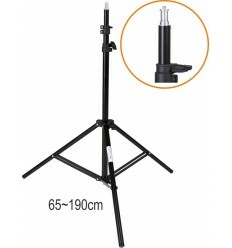 A folding softbox with E27 lampholder, provided with a turning and tilting mount to be fixed on a light stand with default 5/8” spigot. 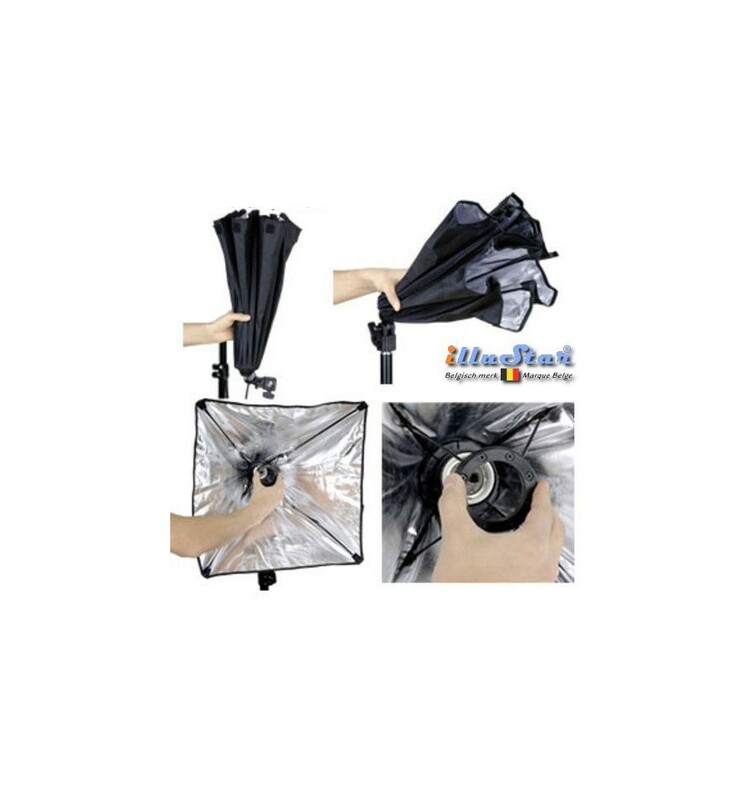 This softibox is constructed as an umbrellaand is as easily en quickly opened and folded. 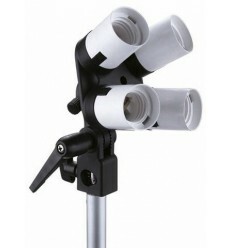 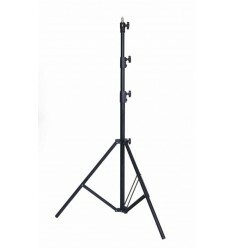 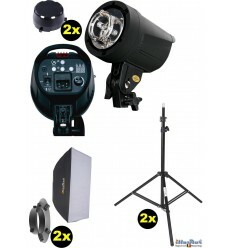 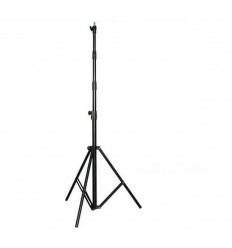 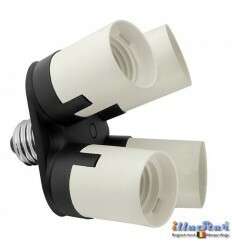 By its simplicity ideally suited for use on location. 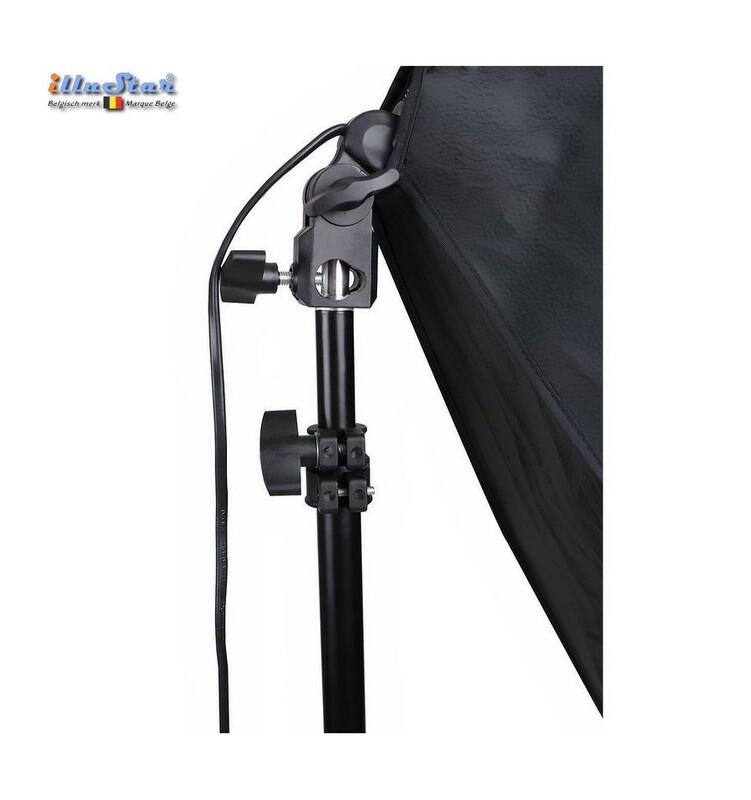 The silver interior side of the softbox and a diffusor in front of the light source ensure a maximal egality of the light distribution. 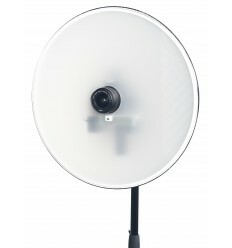 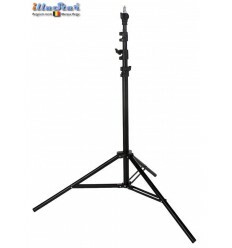 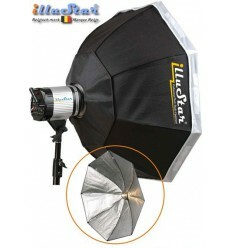 The softbox can be used with or without the diffusor, to get a soft or hard lighting. 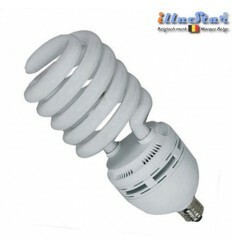 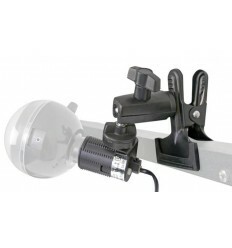 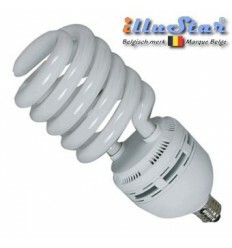 When using daylight fluorescent lamps, it is very suited for photo and video recordings in studio or on location. 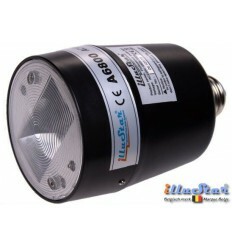 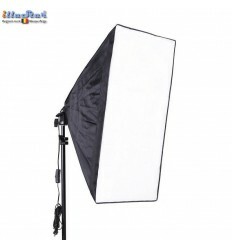 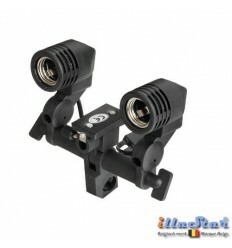 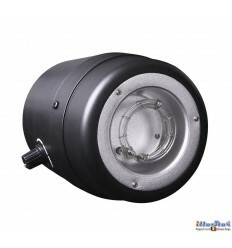 With the use of the optional AD1-4E27 adapter, this softbox can be equipped with maximal four lamps. 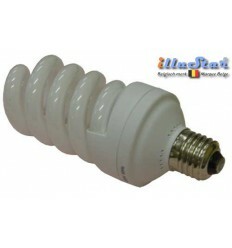 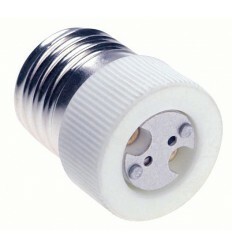 The E27 daylight fluorescent lamps (FL-series) are not suited for use with a dimmer.